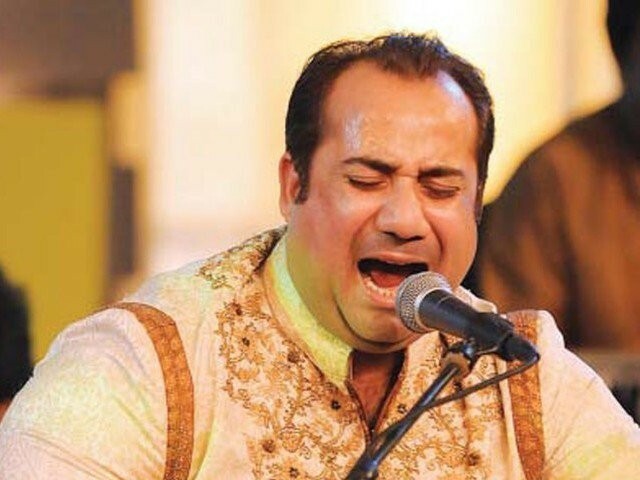 Ustad Rahat Fateh Ali Khan (RFAK) is by far my favourite singer mainly because his bewitching and melodious voice keeps me under a spell whenever I listen to him. The man is surely gifted and there is definitely some magic in his voice which keeps one enchanted. Just recently, a Pakistani friend introduced me to yet another masterpiece of the legendary singer, Tere Bina Jeena Nahi Ve Soniya from the Pakistani movie Bin Roye, which yet again proved that RFAK has reserved his best for his own country. Notably, the song is my phone’s ringtones, adding to my never-ending list of his classic opuses on my phone. I am not the only fan though, there are millions of Indians who, I believe, feel the same about RFAK. The amount of love he receives during his visits to India is testament to that. Therefore, I was shocked and deeply hurt to know that RFAK was denied entry to and deported from Hyderabad on Thursday morning where he was invited to perform at a New Year’s Eve event at Taj Falaknuma Palace. RFAK’s deportation was attributed to ‘technical flaws’ in his travel papers by immigration officials as according to ‘rules’, Pakistani nationals cannot enter India through Hyderabad; the legal ports of entry by air are Delhi, Mumbai, Kolkata and Chennai. So RFAK was first deported to Abu Dhabi from where he took a flight to Delhi on Thursday evening. In order to ensure he did not miss the event, he at once boarded a chartered flight to Hyderabad from the national capital. Phew! Was it necessary to subject the noted Pakistani singer to such a shabby treatment? This comes days after Prime Minister (PM) Narendra Modi’s surprise stopover in Lahore. We are told while having his breakfast in Kabul, Modi had a sudden brainstorm of setting his foot for the first time on the soil of Pakistan. He immediately expressed his desire in this regard with his Pakistani counterpart who pulled out all the stops to welcome the Indian premier in his country. In this manner, Modi’s tour de force was made possible with Pakistan allowing 120 Indians in their country on a very short notice. A TV reporter in Lahore was dumbfounded that this happened. “Tauba Tauba”, he repeated multiple times. Now imagine what would have been our reaction if Pakistanis had insisted on following ‘rules’ and denied entry to Indians on ‘technical grounds’. All hell would have broken loose (duh), even though trust and respect is a two-way process. That was a nice thing to say PM Modi, but can we first cleanse our hearts? For, if we kept subjecting eminent Pakistani singers and artists to the kind of treatment meted out to RFAK and Ghulam Ali – whose shows have been cancelled of late owing to threats from Shiv Sena – how would this become a reality? The leaders can meet whenever and wherever they want, but what about the common man who does not enjoy this luxury? If Pakistanis can bend the rules for Indians, why can’t we reciprocate their gestures? RFAK is not a terrorist and gunrunner. He is a great artist and artists know no boundaries. Truculent bureaucrats, who have their own axe to grind, must not be allowed to sabotage people to people relations between India and Pakistan. Merely blabbering that our countries should be reunited is not enough. What we truly need is the reunification of the hearts that have been torn apart. The people who once lived cheek-by-jowl should be allowed to meet and visit each other’s countries without any unwarranted bureaucratic hindrance and inconvenience. Let the new generation shake hands. An apologist author who keeps on looking for excuses to feel victimized in every article. First of all only 11 persons out of 120 from Modi’s entourage were provided visa,secondly no matter how popular the celebrity is, he can not be compared to top level diplomats who enjoy special treatments throughout the world. Most importantly every country has specified point of entries that require its own resources to run efficiently.Instead of crying foul and exploiting celebrity status just follow the clearly defined rules. i dont know what your back ground and knowledge about Immigration laws. let me tell you India has very sticker laws for pak nationals , RFK broke the law and paid the price, noting unusual about it. Ustad Rahat Fateh Ali Khan is a pride for Pakistan. This is not first time he has faced rebuke at the hands of Indian immigration and security authorities.If I were him, I will declare for all time to come that that was my last time . Hindu mind has not accepted Muslim in general & Pakistani in particular. It is not far that India will repent its folly . Pak started with scratch & now Inshallah it is a ” Medium Power’ & soon it will have its own glaxy of friends. People like Sapan Kapoor tend to wait with great unrest for any opportunity where in their intellect makes them believe India has gone wrong and would not waste a single nano second to pen their thoughts and publish it as a blog. 1. 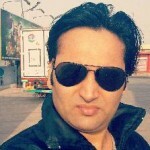 Sapan Kapoor : You seem to be unaware that Pakistan Deported Dean Jones due to irregularity or non compliance with Rules. Same goes for Ustad Rahat Fateh Ali Khan. Maybe he will fly to Fiji with his wings. Andaman Island, Malaysia 5000 years ago. It GOT everything to do with religion. He is a Muslim. Look, learn to read and write correct English, first. Then comment. Your father, grandfather, great grandfather lived under the Raj. Remember Orlando Bloom? It was just a week ago and he was deported in a similar fashion. it is not because RFAK is a Pakistani. It is because he didn’t follow the rule. And this is the guy who is completely morally bankrupt and devoid of any shame. In 2011 he made a lot of hue and cry over the treatment he got at Mumbai Airport carrying undeclared cash and was detained by Indian Customs for a day. In August of 2015 he declared that despite all the problems he faced in 2011, he will still continue to visit India (http://tribune.com.pk/story/935401/i-will-keep-visiting-india-like-before-rahat-fateh-ali-khan/). Wow, i am amazed at the ignorance of the writer. Did he expect the visa officer or constable to show good gesture and let Rahat Ali through? Can they work with desecration? He should be happy that poor officers have fulfilled their duty despite a celeb breathing down their necks. Rahat ali has no regards for rules of any country, first he was caught red handed with illegal cash, then it turned out that he is not even tax payer and now despite of almost living in India he shows ignorance of the rules. In any other country he would be blacklisted by now. Orlando bloom was deported from Indian airport, Dean Jones was deported from islamabad airport due to technical issues. I didnt see writer making fuss about it. Also educate yourself, heads of state do not need visas, and especially if they are invited. Have you ever seen obama, nawaz etc standing in line to get their passports stamped, have you ever see them going through visa process after then land in country? Why he wanted to come to India in the first place? 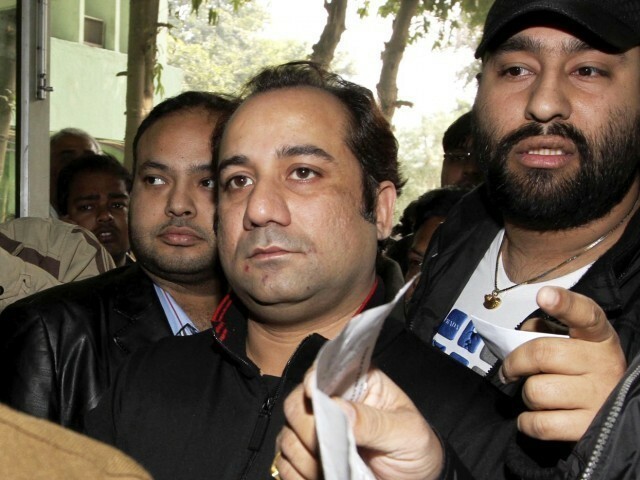 Rahat khan broke rules, he is not an Indian citizen, he should be deported. Bending the rules for one man, because he’s famous. Is that what you’re suggesting? So, this man is clearly promoting VIP culture. Next time he will ask, should we really check the tax returns of Sonia Gandhi or Rahul Gandhi, after all they’re our national leaders? Then he will ask? Should we really pursue a legal case against Salman Khan for killing innocent people? Surely, Salman Khan is a huge celebrity. Why not just trust him and let him go? Then he will ask, what’s wrong if a plane or a train is delayed by a few hours waiting for a Secretary or an Under Secretary? They’re well known people, why not bother thousands of passengers for a couple? Mr. Kapoor, we just don’t get your point. Do you mean to suggest that the Indian immigration officials should be given two sets of rules- one for ordinary citizens like us and another for VIPs (yourself included, since I know every one wants the group to be exclusive just so long as it includes them) or do you want that the immigration officers not follow any rules at all and just go by the classification made by the likes of you. Indians in Pakistan are followed everywhere by ISI agents so that they can ensure the Indian is not doing anything anti Pakistan or saying anything against the ideology of Pakistan. Even if India start the goodwill gesture by giving visa to Azhar Masud and Hafiz Saeed, likes of Sapan Kapoor will still blame India for not being enough large hearted. Bad English. Bad grammar. Spelling errors. Muslim hate. Checked it and traced it. It was the Bajrang Dals website ! http://tribune.com.pk/story/1067962/na-question-hour-over-a-quarter-of-a-million-workers-deported-since-2013/ so here is another source. The issue was discussed in the Pakistani parliament. The numbers quoted are nit different to what your parliament discussed. He was detained in 2011 for 24 hours and money confiscated because he was carrying out unaccounted and untaxed money which he had not declared. Unlike Pakistan, he was not jailed for many months the way that model was. No. People without proper papers would not be let in. India has 18 crore Muslims, many of his kids are now citizens of US, UK etc. They have no problem whatsoever visiting India. Yes India and Pakistan have a problematic relationship and they each give a hard time to citizens of the other countries for visa. It is not an issue of religion but nationality.